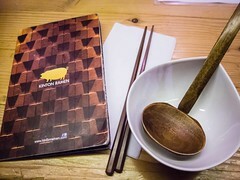 The latest addition from the people behind Guu is Yakitori Kintori, located on the second floor of the Bloor St Kinton Ramen, Kintori specializes in charcoal grilled skewers (kushi), epecially chicken (yakitori). All different parts of the chicken are served and it’s a great example of head to tail cooking. Atmosphere: The BF and I stopped by with a friend on Sunday, right at 5pm when they opened and was lucky enough to get seats in front of the grill. I would highly recommend making reservations as there are only about 30 seats and there’s bound to be a line. 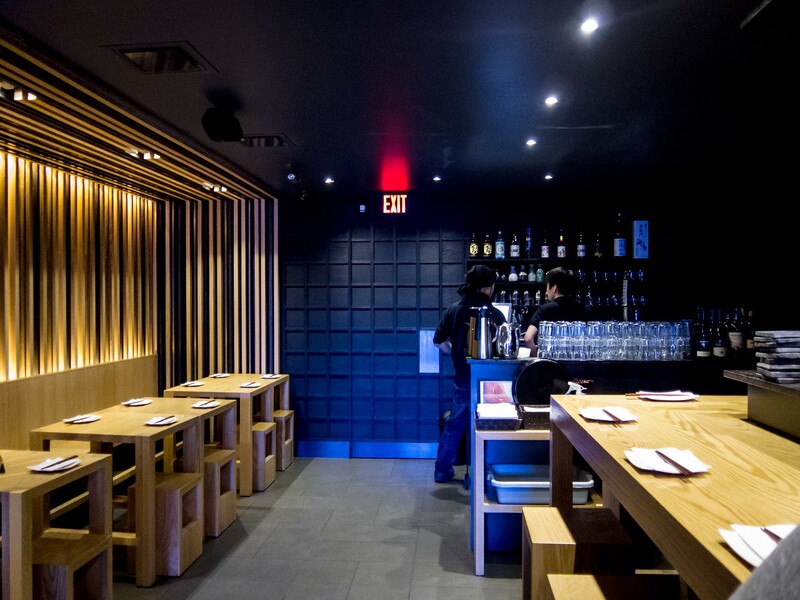 The barstools are similar to the those at Kinton with a place for your bag and a coat rack is set up for jackets. The pace of the meal was slower than ramen, but still not one to linger over. 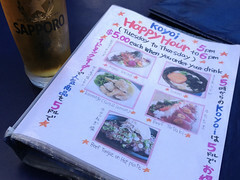 I felt like Kintori’s a great spot to grab dinner at the end of a long day or before starting your night. Service: Climbing the stairs to the second floor, we were greeted by the servers in Kinton as well as Kintori. The hostess was a super cute, friendly Japanese girl and I couldn’t understand a word she said. I felt bad but none of us could decipher her accent. Once we were seated, our server came to take our order, help explain the menu, made recommendations and was efficient and friendly. 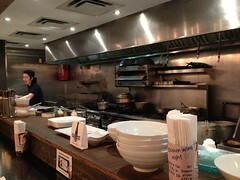 Since we sat at the grill, we saw our order getting prepped and cooked. 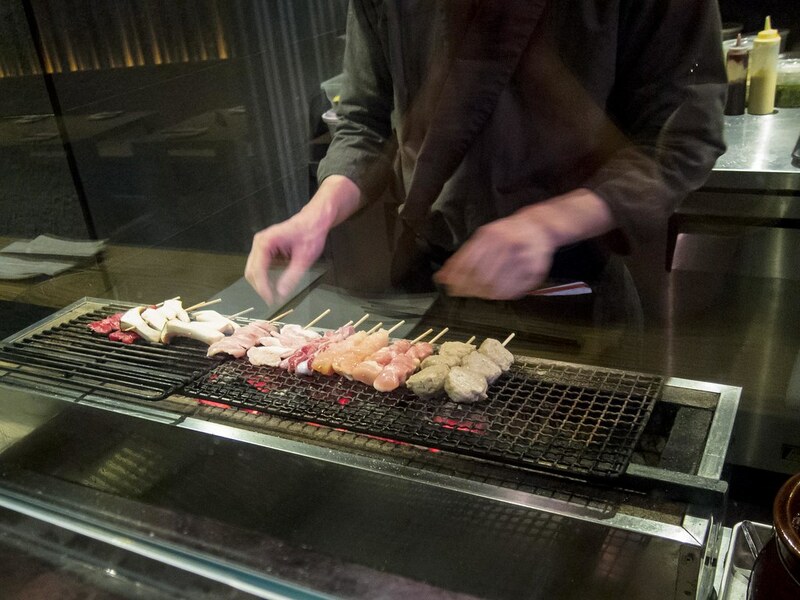 It does take a while for the skewers to be ready, so ordering a few appetizers while you’re waiting is a good idea. 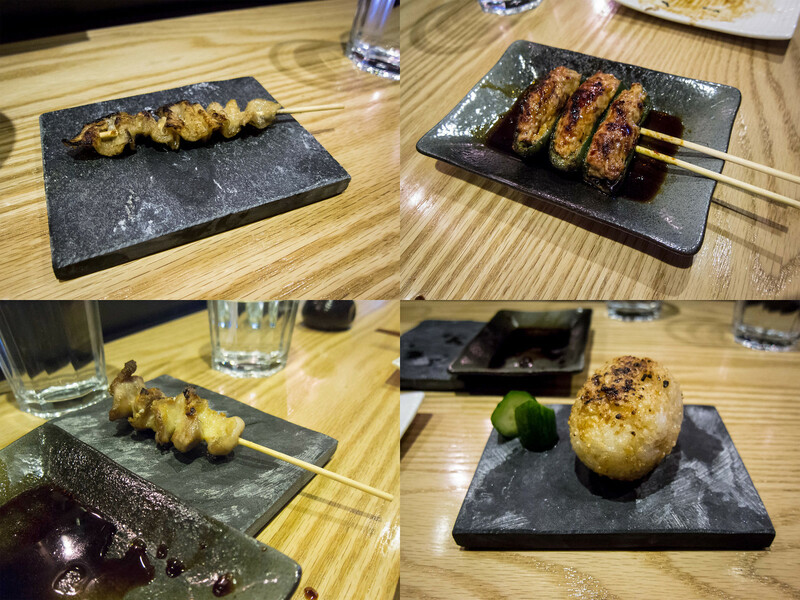 Food: My favourite way to order skewers is to start with one of everything and then double up on favourites. 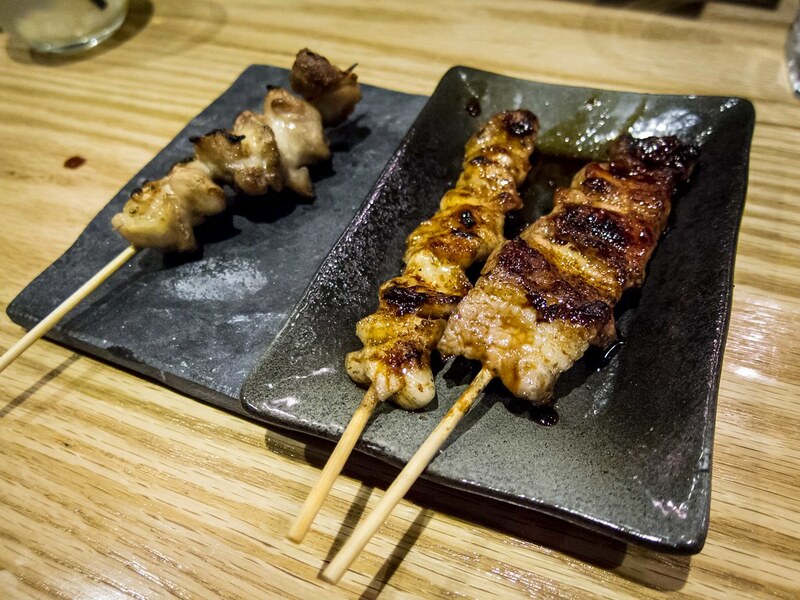 Each skewer usually has 3-5 pieces of meat/vegetable so depending on your group 1-2 orders of of each skewer lets everyone have a bite. 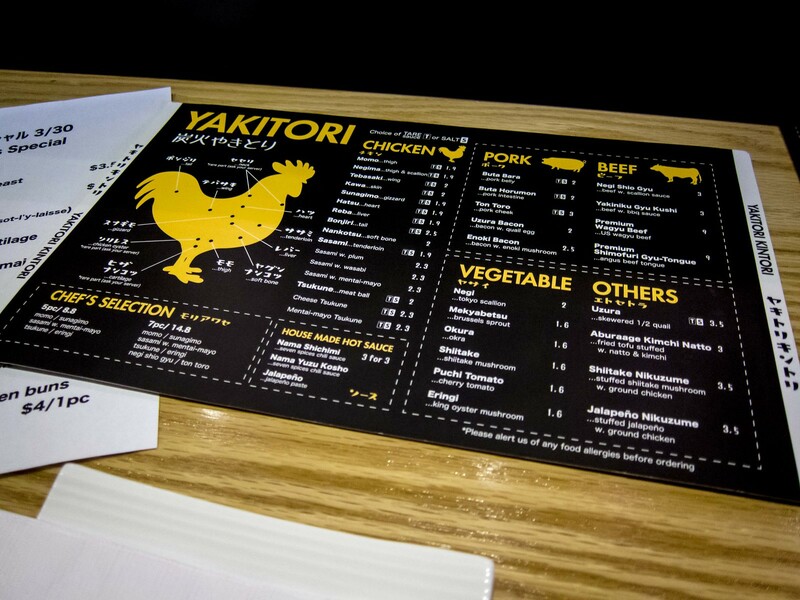 Kintori’s menu maps out each cut of the chicken that is orderable. Next to some items, there’s an T/S icon indicating that you can choose between salt or tare sauce (a sweeter, thicker soy sauce) for seasoning. 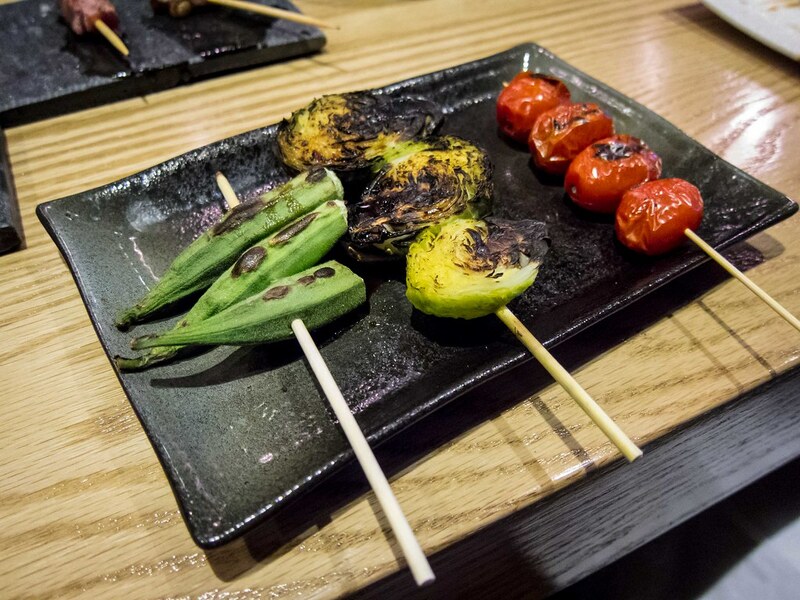 There is also a small selection of pork, beef and vegetable skewers along with a whole other page of tapas dishes. 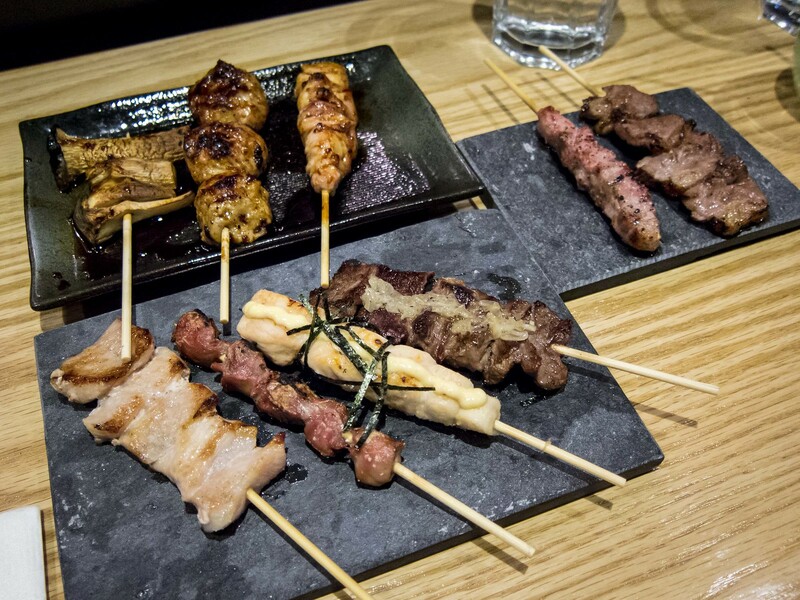 If the selection is overwhelming, there is a chef’s selection of 5 or 7 skewers that offers a nice variety from the menu. We ordered a good bulk of the menu items. There are still a few items I’d like to try (neck, heart, oyster and liver) but of what we ordered, I’ve organized them into 3 groups. 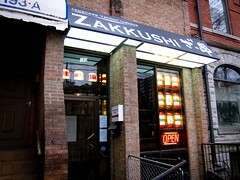 Overall, the chicken was really tender, I found the beef a touch dry and the pork was crispy. The okra and stuffed jalapeno were amazing and a nice break from all the meat. 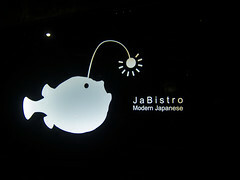 We ordered a Tako Wasabi while we waited for our skewers to arrive. 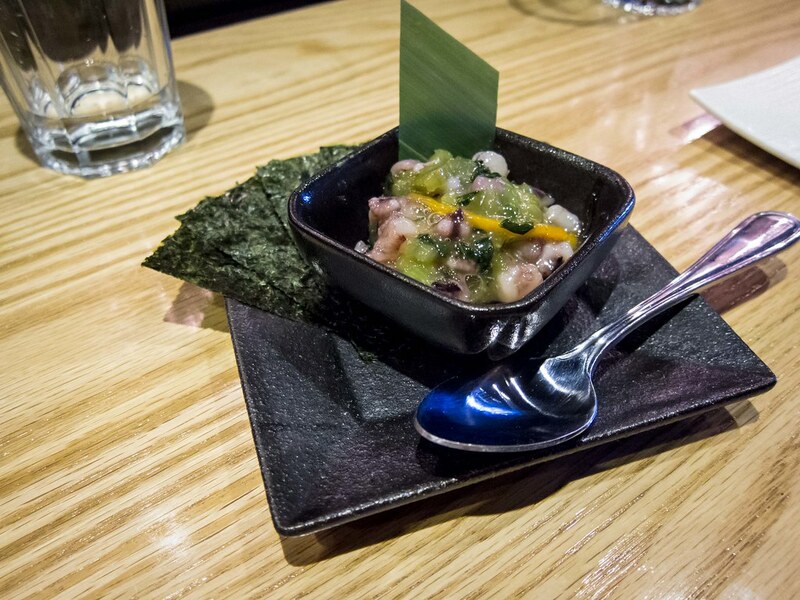 The wasabi that day had a real kick and really cleared up the sinuses. From the Rice and Noodle section, we also tried the Yakionigiri, grilled rice ball filled with seaweed. This would be the only disappointing dish of the night. It was a lot of rice and not that much flavour. The surprise dish of the night was the Kitsune Udon. 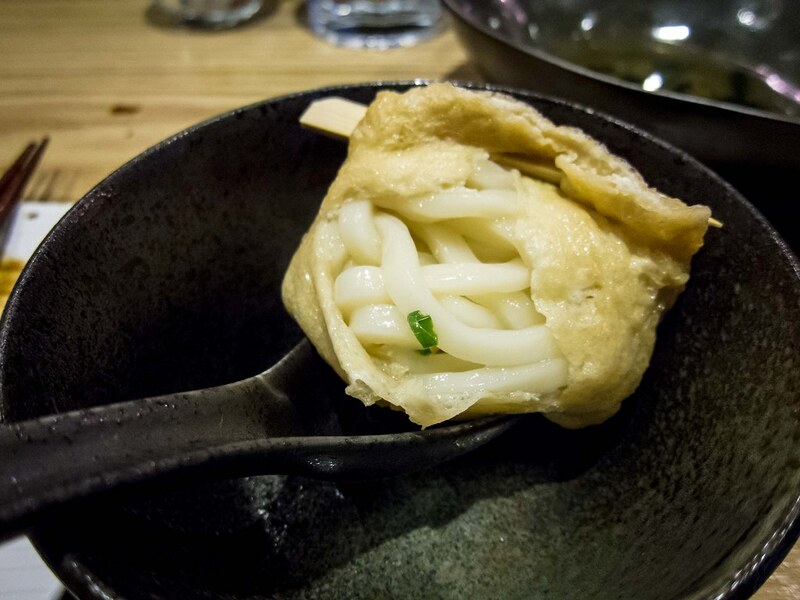 Udon noodles are wrapped in a deep fried tofu skin and served with dashi broth. 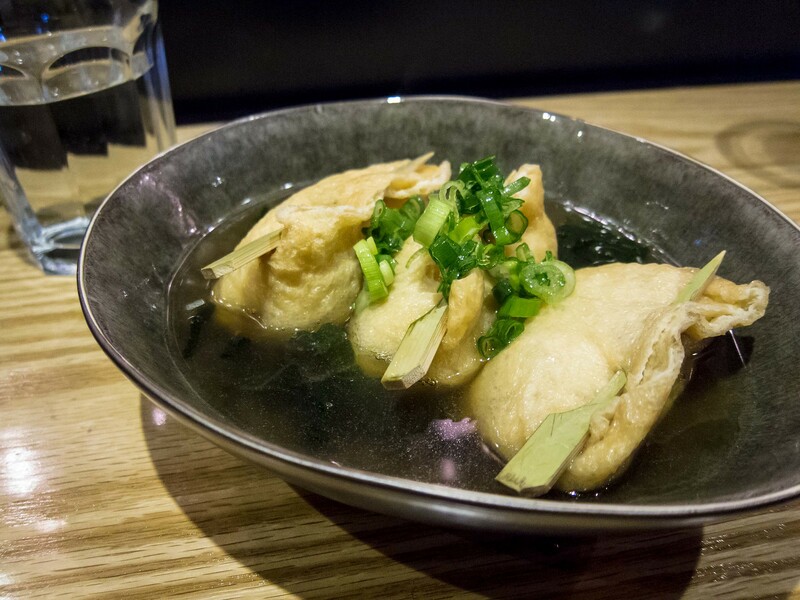 The noodles were a perfect texture, the dashi was flavourful and the skin added a nice saltiness. I was also impressed with how much udon there was. It was a great dish. I washed everything down with a glass of Kintori White Sangria. 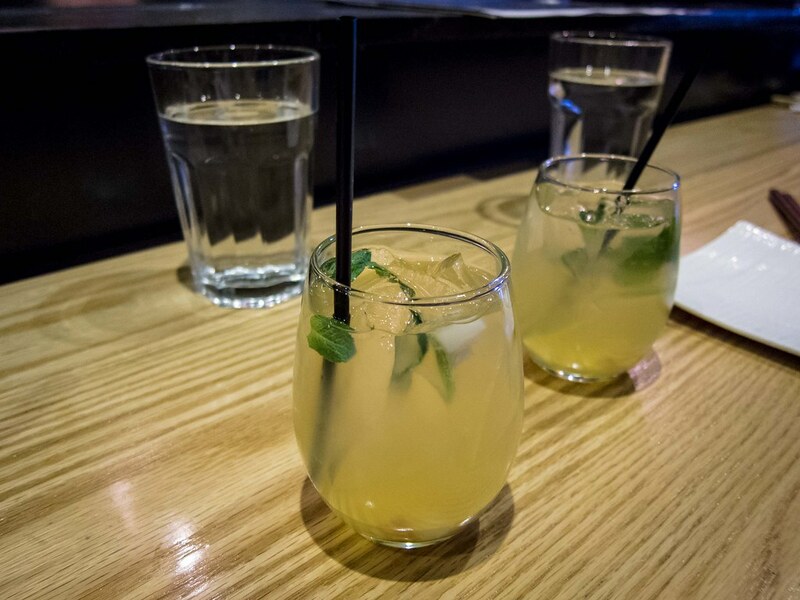 The drink was a little light on actual fruit pieces but tasted like summer.